How healthy is my battery? AccuBattery is different! We are the first app that can show you your phone's current battery capacity and hence; how much your battery has worn out over time. Do you have a feeling that your battery is no longer operating like it used to? With AccuBattery you'll be able to put an actual number to it. You can then confidently make a decision on whether or not to replace your battery or get a new phone. How do I prevent my battery health from dropping too fast? 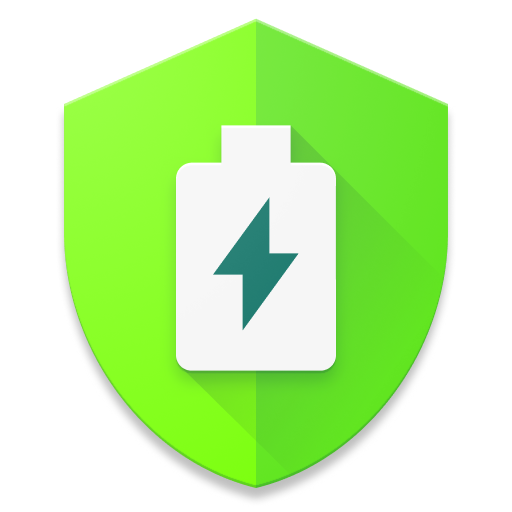 There are lots of scam apps in the Play Store promising to 'fix' your battery. This is of course not possible, however, what is possible is to slow down the speed at which your battery health is deteriorating. AccuBattery will show you how much battery wear each charging session is causing your battery. Research has shown that keeping your battery charged between 0% and 80% can make your battery's lifespan last 2x longer than when you use a full battery cycle from 0-100%. To help you follow these guidelines we've built in a charge alarm. With the handy slider you can choose at which charge % to get a notification so you'll know that it's time to unplug your phone from the charger. As you play around with the slider you'll notice that when you start charging beyond 80% each percentage of additional charge will coincide with an increasing amount of wear. What are some other things AccuBattery can do? -Determine the phone's total battery consumption when each of your installed apps is running in the foreground (different from the Android system measurements which uses profiles to arrive at their numbers, we instead indicate the phone's total battery usage when an app is running in the foreground). -Improved estimates regarding how long you can continue to use your phone without charging, both in terms of screen on time, screen off time, and total time (based on the historical ratio between the two). -Measure the charging and discharging current of your battery. Not all chargers and cables are alike. Use this to test the charging speeds of your cables and chargers. (We recommend turning your screen off when measuring cables and chargers to give a better indication as the measurements can be quite jumpy with the screen on due to the many processes running on your phone). -Find out what percentage of the time your phone is in deep sleep when the screen is off. If this number is low you should look into what's keeping your device from entering deep sleep. -Check historical charging and discharging stats. In addition to providing data on your most recent charging and discharging sessions you can also look through your past sessions via our history tab. This way you can quickly compare sessions. 1) How should I start? Start with the tutorial! When you first open the app the tutorial should automatically run. You'll be asked to set a charge alarm, we recommend that you set this to around 80%. At the end of the tutorial a calibration process will run, if the device info is not correct you can manually change this in the app. If you want to run the tutorial again you can open it via the menu bar in the top right corner (there's no need to calibrate multiple times though). Charging: When your cable is plugged in this screen will show the live charging stats, otherwise it'll show the most recent significant charge session. Discharging: When your phone is not charging this screen will show the live discharging stats letting you know how fast you are using your battery and which apps are associated with that usage. Health: This is a longer term view indicating how worn out your battery is and whether it might be time to consider replacing your phone or battery. You'll find the aforementioned battery health meter in this tab. History: Check historical charge sessions and their estimated wear. Tap on a card to open up the historical charging or discharging tab associated with that session. You are now ready to use AccuBattery. Remember: the longer you use AccuBattery the more accurate the battery health, time remaining, notification tray numbers, and other estimates become. 4) Take your battery monitoring to the next level with our premium version! -Removal of all ads and upgrade messages. -Stats overlay: enable this to get a live overlay over another running app so you can see the battery current, CPU core usage, and process CPU usage when an app is running in the foreground. Use it to quickly identify how much battery your newly installed app uses or test for yourself whether an app's battery saving mode actually works! -See more historical data: the free version lets you view historical charging and discharging sessions up to 24 hours ago while the premium version unlocks older historical data (up to 150 past sessions). -And many more cool ideas we've got planned!